Bentley's Coffee FREE Drink Card! Bentley’s Coffee on Mission St. wants to celebrate our volunteers! The owner, Brandon Eastman, has donated 200 FREE drink cards. If you’d like one, please see Meredith Kuhl in administration. Did you know Bentley’s is named after Brandon’s dog? Welcome to the Team Chelsea Rock! Click here to see a fun video about the way dogs talk through body signals! Domestic dogs still share behaviors with their wild relatives. Both defend their territories and mark them by urinating on trees, rocks, fence posts, etc. This gives notice to other dogs that an animal is occupying its territory. Many dogs also bury bones or favorite toys for future use, just as their wild relatives sometimes bury a kill to secure the meat for later feasts. Is Baxter a Duck or a Beaver? Wednesdays at noon volunteers can receive training on skills that will help dogs pass the test to earn their CGC certificate. The volunteers can work with dogs on skills, working toward becoming certified while in the shelter, so that even if they get adopted before they earn it this will give adopters a leg up with their new pup! Make a $50 donation or join the Golden Hearts monthly giving club, earn a Santiam Brewing Co. and WHS Commemorative glass. **bring canned pet food** for every can of dog or cat food donated, Santiam Brewing co will match $.50! Join Us for Parent's Night Out TONIGHT! It will held TONIGHT November 13th from 6-9pm in our Education Hall. $15 for the first child, $10 for the second child, and the family cap is $40. Enjoy a night out while we treat your kids to snacks, crafts and other activities! 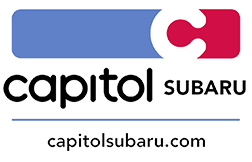 Congratulations to Isabella Knorr who won a free oil change for guessing the closest number of balloons in our Capitol Subaru contest at our 50th anniversary party! And Congratulations to Mary Trusch who won the Cannon Beach stay by shopping the bazaar and entering her receipt in the raffle! Santa Paws is Coming to Town to visit Salem's Cats and Kittens! Terri has an amazing ability to capture your pet’s personality forever and she can make even the most frightened kitty’s pose into an adorable photo. Consider doing an annual photo of your pet, perfect for the upcoming holidays. Santa Paws will be welcoming all naughty and nice small animals for photos and wish list requests. 50% of the proceeds will be donated to Willamette Humane Society. Can you help us with a last minute craft project? We won a contest last year, and are participating again this year! We will be creating ornaments from 12-4p this Saturday November 14th. We would love your help! Are you an arborist? Do you KNOW an arborist? We are in need of a professional trim around here and would love your help! We aren’t in a hurry but if you or someone you know can help, head on over to volunteer@whs4pets.org and drop us a line! You will probably need a bucket lift. Could you help us recycle for our DIG fund? In years past this has paid for many big expenses at the shelter, simply by turning in our recyclables, but we don’t have anyone going to the Bottle Drop right now! Anybody can go to the Bottle Drop and recycle and bring the cash into WHS. Several people doing a bag or two per week would really help. Most volunteers think staff or someone with a truck does it, but it is actually a volunteer opportunity! Bring your scrapers and have a party! The paint on the floor in the Canine Classroom has got to go before we can install the new floor matting! Please feel free to scrape away with a friend or on your own. Deposit the scraped paint in the large trash can. Best times: Tuesday-Friday mornings; Saturdays, Sundays, Tuesdays and Friday evenings. Classes are taught Monday mornings, Monday nights, Wednesday nights, All day Saturday and Sunday afternoons. Please be respectful of others needing the room at other times. Are you strong? We’ll need some help moving the rolls of flooring when they arrive and muscling them around during installation. Each roll weighs more than 300lbs! We’ll be using hand trucks but there will still be some heavy lifting and pushing going on. Dates are to be determined – sometime late Nov or early Dec. Please let us know if you’d like to help and we can let you know specifics when we have them. Turtle Ridge Wildlife Center in Salem is seeking three wildlife interns for 2016. Two of the positions are mammal nursery interns. The third is an avian nursery intern. The work schedule is April until August, 40 hours a week. Housing and a $50 weekly food stipend is available. Two years coursework in biology, zoology or related field is required. Will someone to help us keep important areas clean? We have public classes held in our Training Room Saturdays and Mondays, and it is imperative that the classroom is deep cleaned before those classes. We have a need for help with our laundry and dishes as well! If you’re willing to share these skills with us, please contact volunteer@whs4pets.org to get started! I am trying to help a woman who is bed bound and has a young Jack Russell Terrier who she is unable to walk. She lives in a small apartment and has no back yard. She is on a fixed income and is looking for a volunteer to provide scheduled opportunities to get her dog out for a walk. Is anyone willing to help?? We are going to be collaborating with other organizations to provide gift wrapping services in the Salem Center Mall a few days before Christmas. This will raise some money for our shelter, and is a great opportunity to provide services to our community! Are you interested in helping? Contact volunteer@whs4pets.org for more information. Gigantic thank you to all who made Bowser’s Boo Bash a huge success! It was so fun to see how fast everything came together compared to years past. We couldn’t have done it without the huge amount of you that showed up to set up, and then keep the event running. Special shout out to the Humane-A– Teens, we loved your great attitudes and helpful hands! Another huge thank you to those of you who helped orchestrate the colossal success that was Kitten Kaboodle. You all fearlessly jumped in with less notice than we had (which wasn’t a lot) and made this venture wildly popular! You homed so many kittens we are endlessly thankful! Thank you to all those who helped run, or shopped at the Thrift Store’s Christmas Bazaar! Volunteers who spend prep time hours are really amazing. We know you come to spend 2 hours and spend 6! The profit is monstrous, but if those hours were paid, we really wouldn’t make much. It was a huge hit, and made more than last year! What a nice service to our pets and our community! Big Kudos to those who helped pull off the 50th Anniversary party! We had SO many people come, we’re grateful for the positive light you shed on our shelter! I would like to give a kudos to Caroline Patton and Marianne Fox-They are always on the look out for dog behaviors that need to be brought to B&T which is VERY much appreciated! (the sooner we know the sooner we can figure out a plan for the dogs). Also they are always really welcoming and happy when they are here and very fun to joke around with. It makes it very easy to work with them. They are great with the customers and the dogs! I just really enjoy when they are here! Remember: The only Tags allowed in strays are Yellow, Red, and Blue! No green or Purple Tags in strays! Definitely no public access. Not even to say hi or to Open Paw from the front of the kennel. We need to provide uniformity, especially for newly trained volunteers, so make sure you are where you are supposed to be to set a good example! Remember to write the location on the dog note cork board papers. Thank you to those of you who are excellent at remembering this! Correct it if you see “location” left blank. Remember not to step between dogs who are upset by each other. It is an excellent way to land them in bite quarantine! In case you are wondering, we do have walkie-talkies available for playgroup volunteers to communicate easier! They are located in the behavior nook. Please use the sign out sheet! Evergreen Veterinary is no longer honoring they “senior dogs and cats care for life” promotion. They offer it in a paid package but the promotion ended in April. So if you are interacting with customers make sure you aren’t telling them about this promotion anymore, it has ended. Dogs do get locked into one side of their kennels with the guillotine doors, away from their beds and blankets, on occasion. The guillotine doors are used for various reasons but the animals need to be able to free roam at night. Lets remember to open those guillotines when we’re done with them! Currently A cats and some of the suites are opened from the quarantine. There are still quarantines in place for B Cats, and the kitten rooms, and some of the exam locations. If you are a Cat Adoption Ambassador, feel free to resume your shift. If you work Hospitality in A cats, or suites, feel free to resume your shifts. We will send out another notification when we lift the quarantine on our other areas. Thank you! Evergreen Veterinary are no longer honoring senior cats and dogs treatment for life…they offer it in a paid package but that promotion ended in April so make sure you aren’t misleading customers. Remember not to put used cat toys in another cats home, or back in the drawer. Always place them in laundry.